Believe it or not, I have never been to a stage rally. I’m all but surrounded by various drivers and codrivers, but I haven’t seen them rally. Naturally, my first trip to a rally should be a full World Rally Championship round. That’s why I’m finally here at Rallye Deutschland. I want to see loud cars shoot flames and fly. 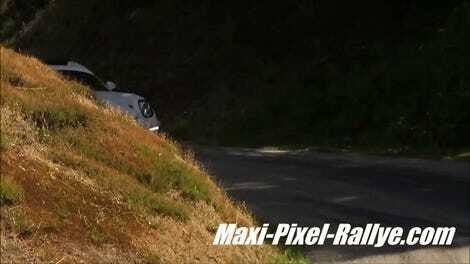 Rallye Deutschland is one of the most infamous tarmac rallies in the world. It’s all paved, and on Saturday, stages take place on the Baumholder military base. There, large concrete hinkelsteins are just off the pavement. They’re meant to keep tanks driving straight. You really don’t want to hit one of those in a car. There are lots of good cars here, particularly the rally-prepped Porsche Cayman GT4 Clubsport that’s here. I plan to drool on it like the gigantic Porsche fangirl I am. There’s also a supporting class of small Opel Adams. They’re so cute, and we don’t get them in the U.S.! Friend of Jalopnik Alex Kihurani is codriving one, with the American flag on display on the wing endplates. If you want to keep up with the rally at home, the World Rally Championship is really good about putting summarizing the stage action up on YouTube here. 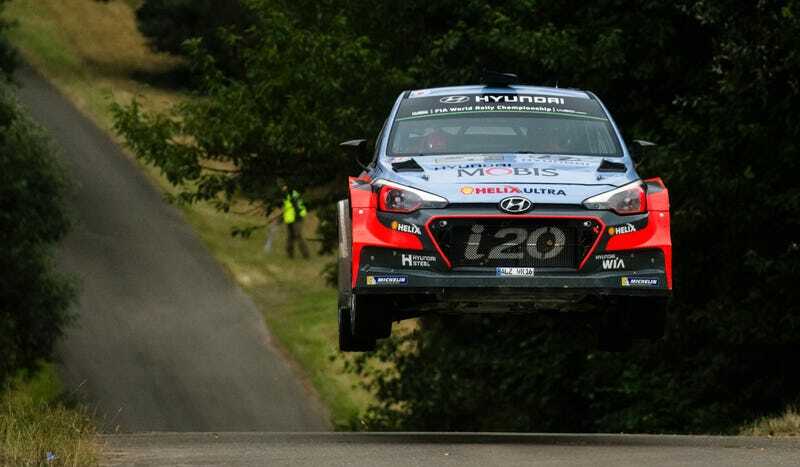 WRC Plus is the series’ subscription streaming service that now covers every hour of the action live through live stage maps, onboards and video, should you have €8.99 a month to spend on the “All Live” tier and hours to burn on excellent yump footage. And if you are actually at Rallye Deutschland, please adopt me, the total rally novice. Chime in below on some good places to camp out for the stages and I may try to organize a meeting spot at a good hairpin or jump somewhere.